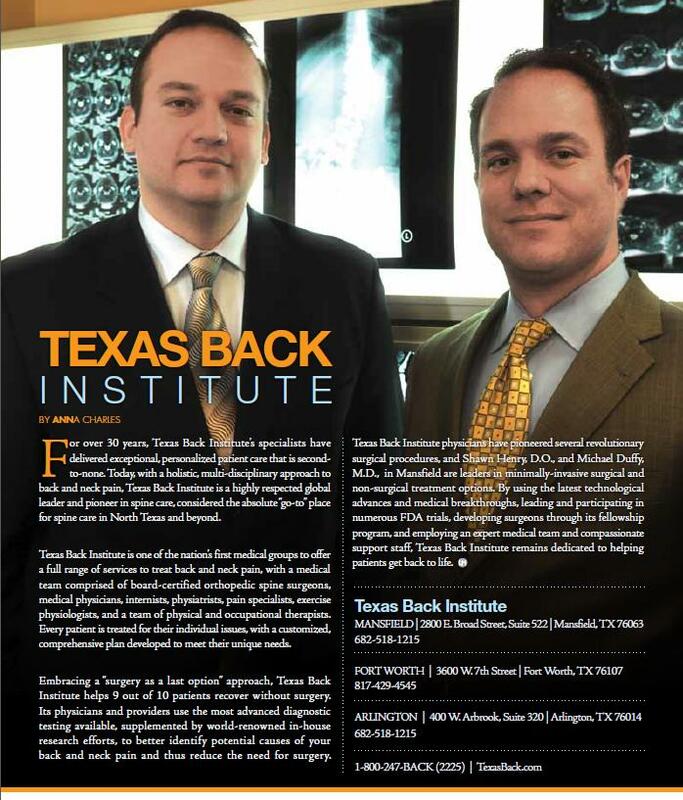 Since the official beginning of summer is June 21st, the spine specialists at Texas Back Institute are preparing for the annual spike in the number of back injuries. 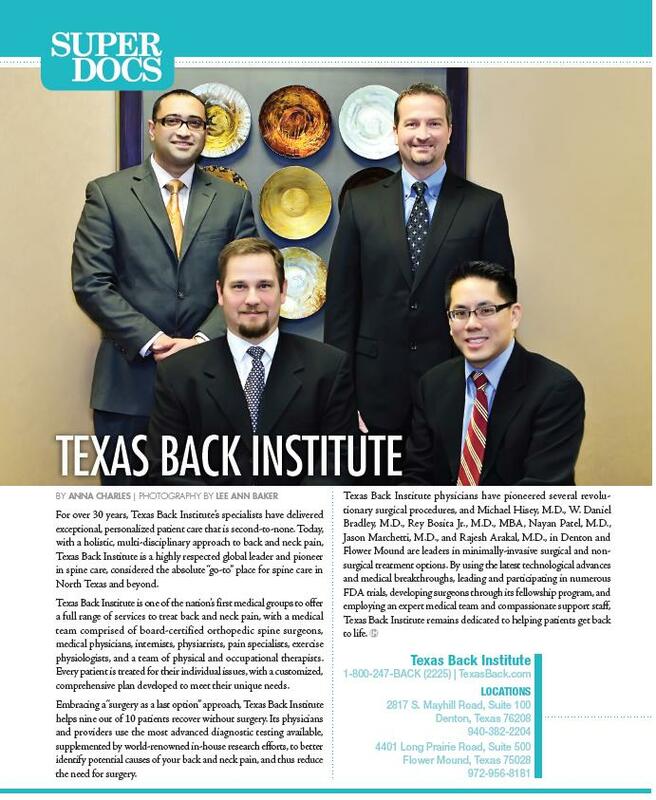 “The primary culprits in this rash of acute back injuries are the accidents which occur when people get outdoors to enjoy some summer recreation,” notes Dr. Daniel Bradley, a spine surgeon at Texas Back Institute. Activities such as mountain biking, water skiing and wake-boarding have an unusually high incidence of back injuries associated with them. Overdoing it on the golf course, tennis or basketball court can also lead to a visit to Dr. Bradley’s examination room. Even lifting those heavy suitcases into the car for summer vacation has the potential of causing painful back injuries. So, how can you avoid the backache blues this summer? We asked Dr. Bradley for his advice. What is it about biking, equestrian sports, water skiing and wake-boarding that is makes them so dangerous to back health? What about swimming? Are there any potential back problems associated with taking a refreshing dip in the pool? “So long as you’re careful on the depth of the water in which you’re diving, swimming is actually the best type of exercise anyone can do – in the summer or any other time of the year. In fact, we recommend regular swimming for those who are rehabbing from other back injuries. It’s extremely low impact and offers an excellent aerobic workout, while exercising all of the muscle groups. Some summer sports such as fishing, tennis, golf and jogging seem to be pretty mild recreation. What are the possible problems with these activities? How can someone determine when their back pain is related to soreness resulting from inactivity or a severe injury requiring medical attention? Summer is hot. Does heat have any effect on back pain or injuries? 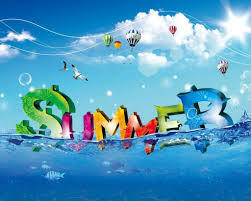 June 21st is the longest day of the year in the northern hemisphere and is known as the Summer Solstice. This is when the tilt of the earth’s semi-axis, in either the northern or the southern hemisphere, is most inclined toward sun around which it orbits. While there are many myths and legends associated with the Summer Solstice, the most interesting place to celebrate the longest day of the year is at Stonehenge, located near Wiltshire, England. Many scholars believe this pre-historic monument was built to serve as a celestial observatory which helped predict events such as solstices, equinoxes and eclipses of the sun. 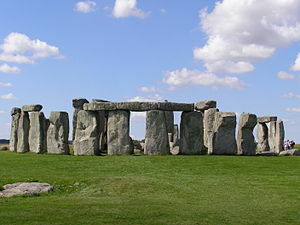 Online references note that during Summer Solstice, Stonehenge provides visitors with a visually stunning view of the rising sun. It can be seen rising above the ‘Heel’ Stone when one stands within Stonehenge facing north-east through the entrance towards the stone. The ‘Heel’ Stone stands just outside the main entrance of Stonehenge. 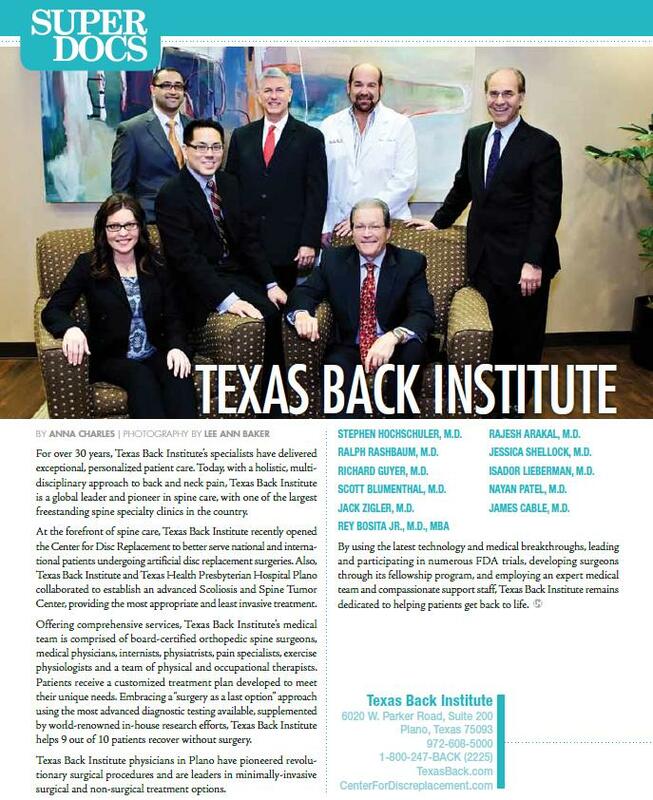 Whether you celebrate the beginning of summer at Stonehenge, in your backyard pool or favorite golf course, Texas Back Institute reminds you to exercise good judgment about the activities that can affect your back. Chronic back pain can take the fun out of this wonderful time of year. 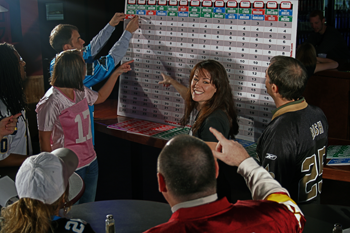 It can limit your ability to participate in the activities that are fun and can help you stay fit and healthy. Don’t overdo it. Stay hydrated. And make this the best summer ever! At 58 years old, Felix Gonzalez, Jr. was a quadriparetic from severe repetitive stress injuries incurred while employed as an aircraft assembly worker. He was confined to a wheelchair and could barely use his arms and legs. 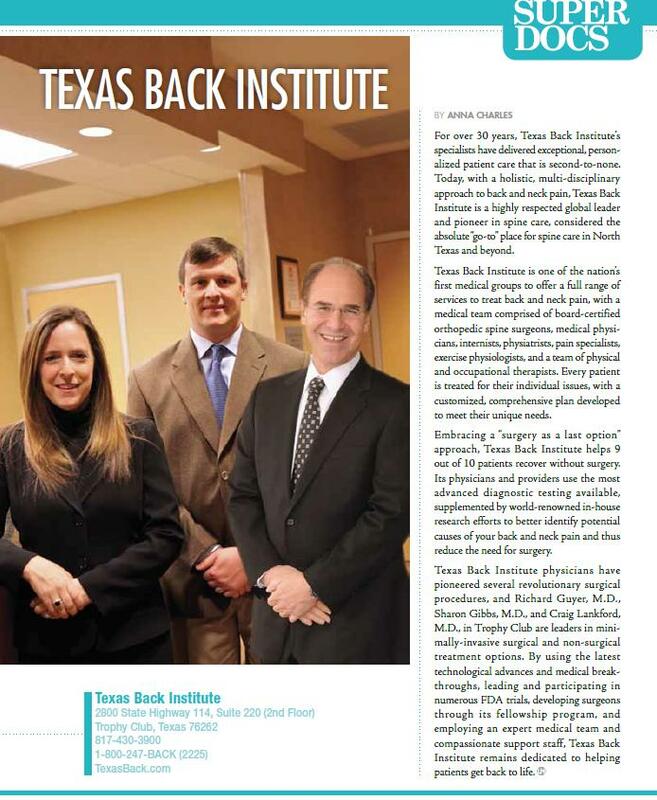 Today, he’s living independently in the Dallas area – thanks to what spine surgeons call a miraculous recovery from modern surgery. Last year, Gonzalez was living with his parents in Washington State, unable to care for himself. Fortunately, his sister-in-law found a place that would treat Gonzalez’s injuries and provide him with relief – Texas Back Institute. Gonzalez met with Dr. Bradley and his team to outline a treatment schedule. 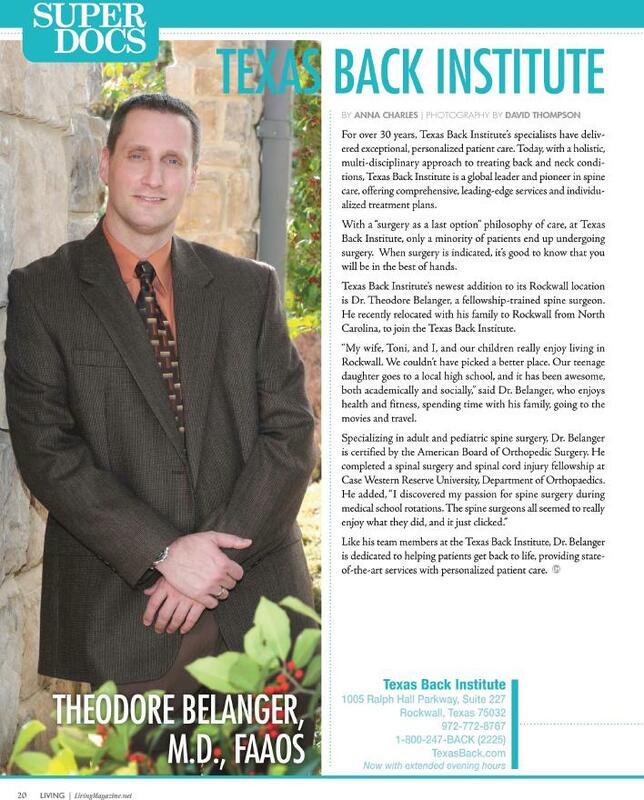 Dr. Bradley is a pioneer in minimally invasive spine surgery at the Texas Back Institute in Denton, Texas. He performed the cervical fusion first to give Gonzalez relief by alleviating pressure in his spine. 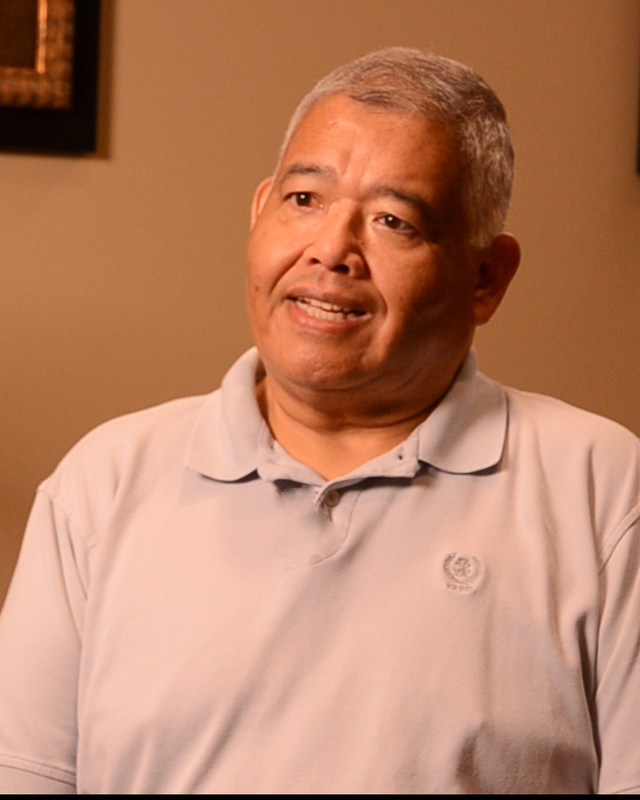 Gonzales made what the staff called a miraculous recovery during therapy due to his discipline and diligence. Next, Dr. Bradley performed the lumbar decompression surgery on Gonzalez. Again, after extraordinary progress in physical therapy, Gonzalez was walking. Gonzalez does not plan to stop his progress any time soon. He is hoping to be using just a cane in the next month. And he has other plans. “I want to get back on a Harley and join my friends in Arizona. We used to ride the Four Corners. I will do that again,” said Gonzalez.